As the clip, via Anime Anime, points out, Rilakkuma is actually someone in a kigurumi onesie. 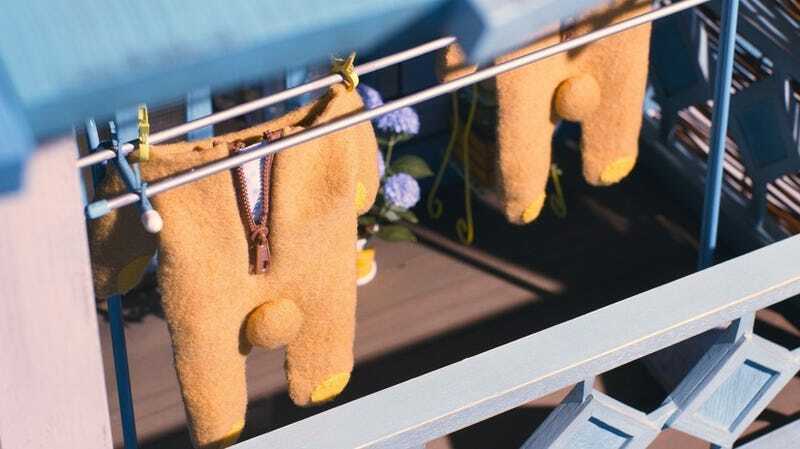 While Rilakkuma’s character design does have a zipper in the back, I never thought it was a real zipper that could be unzipped, allowing Rilakkuma to remove its cozy hide. I was under the notion that Rilakkuma was a bear or bear-like creature. In Rilakkuma and Kaoru, I guess it’s not! Okay. I’m assuming whoever is in the Rilakkuma kigurumi can remove the head? Or does the person sleep in the Rilakkuma head? But then how do its eyes blink and move? DJ Hello Kitty Opens With "Motherf**kers"